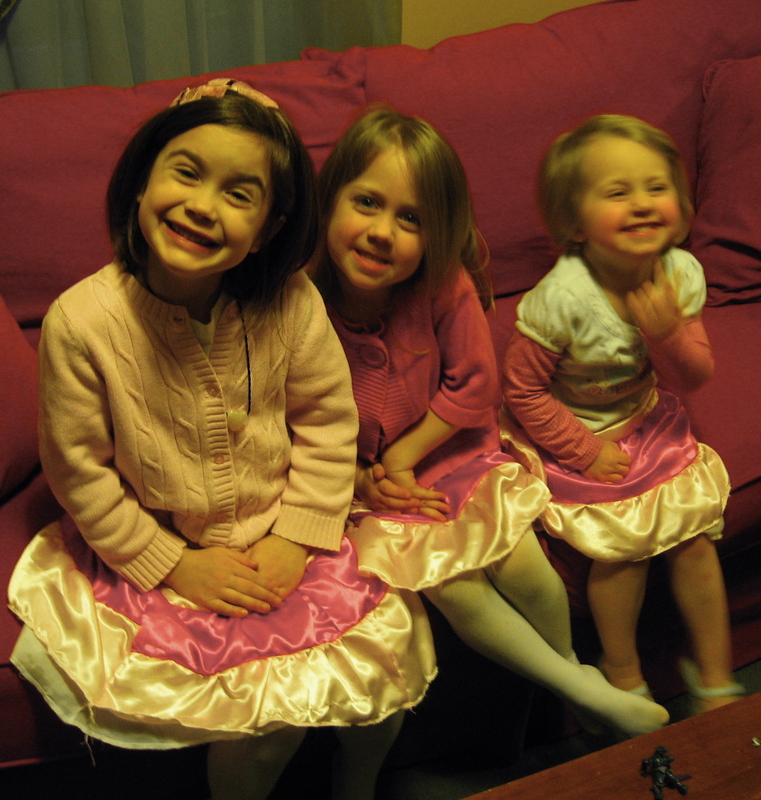 Each year, for the past four years, we have made the girls Valentine outfits for our annual, “Cookies and Cocoa” party that our wonderful friend Michele hosts. In 2010 we made “cupcake” skirts. This was back when we were just learning how to use the new Serger. 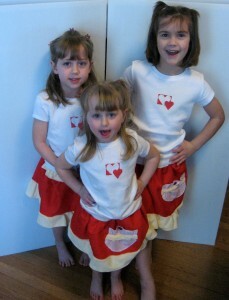 In 2011 we made sweetheart skirts with cute little pockets. We also tried our hand at fabric printing and made matching t-shirts. 2012 was the year of the ruffled petite coat skirts…cringe. These were a little harder than we expected, but we did it! 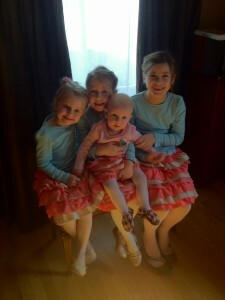 We also added another little girl that year so we had to make 4! 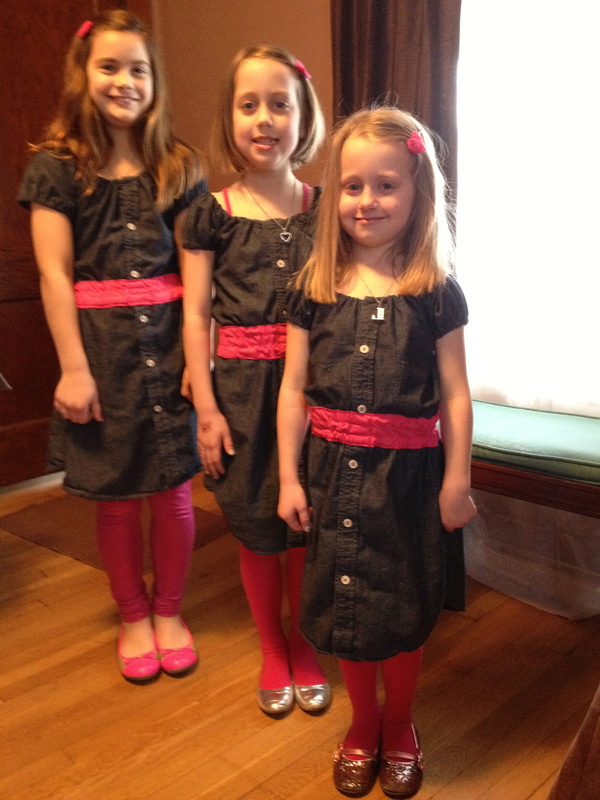 This year we decided to change it up and make the girls dresses. We had some more sewing experience under our belts and were up for the challenge. These dresses are our favorite…so far. The dresses were repurposed (yes, back to our roots) from denim shirts we found on clearance at Target! We found the pattern on one of the sewing websites we like to frequent. Who know what we will come up with next year…maybe the girls will be sewing their own dresses by then. This entry was posted in Clothing, Holiday, Kids and tagged dresses, sewing, skirts, valentines. Bookmark the permalink.